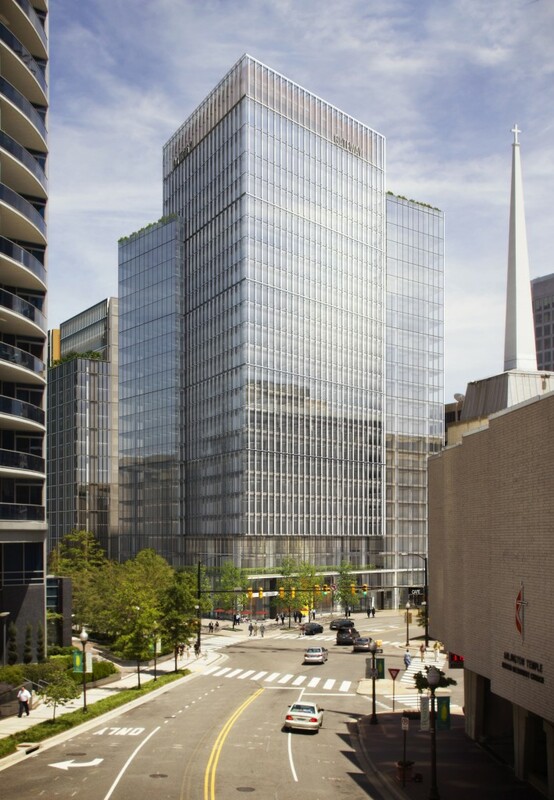 ARLINGTON, Va. – The Arlington County Board today approved the rezoning, phased development site plan and final site plan to replace two old office buildings on 2.20 prime acres in Rosslyn with three new buildings. 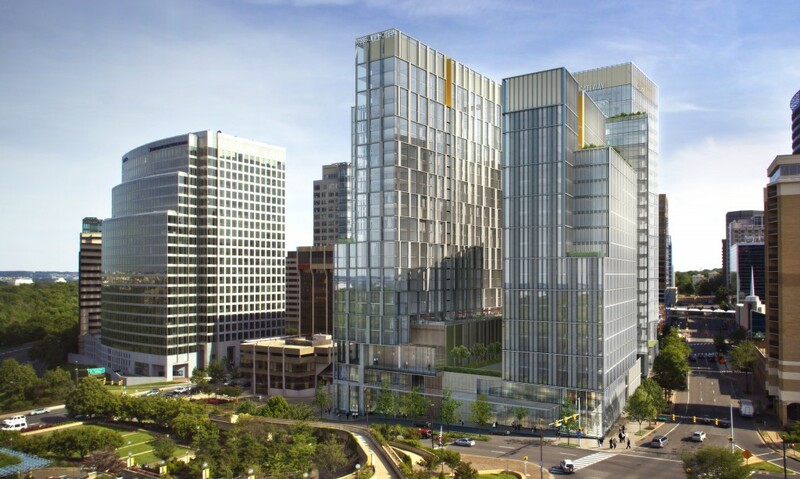 Developer JBG’s planned Rosslyn Gateway, located at the base and entrance to the Rosslyn-Ballston corridor from the Francis Scott Key Bridge, will total nearly 1 million square feet of prime office and retail space, hotel rooms and residential units when fully built out. The Rosslyn Gateway, one block north of the Rosslyn Metro Station, will occupy an entire block of Rosslyn. Located along Lee Highway, between Fort Myer Drive and North Moore Street and across from Gateway Park, it will truly be a “gateway” for those coming from D.C. to Arlington. Special attention was given to the architectural treatment of the buildings, with the heights tapering from south to north to present a variation of rooflines and building form. Phase 3 — 20-story residential tower with 140 residential units and 7,687 square feet of ground-floor retail. An internal loop road owned by the County, and three skybridges, will be removed to accommodate the new development. The skybridges will be replaced with twelve-foot wide clear sidewalks, crossings and street trees to improve pedestrian safety and encourage connections between the buildings. Parking will be located beneath the buildings. In addition, an automated parking system will be employed, allowing a sleeker profile to the building and a better pedestrian experience. County Planning staff participated in seven meetings to review the project with the Planning Commission’s Site Plan Review Committee (SPRC). Representatives from the North Rosslyn Civic Association, Radnor/Fort Myer Heights Civic Association, and the Rosslyn Business Improvement District were present at these meetings. 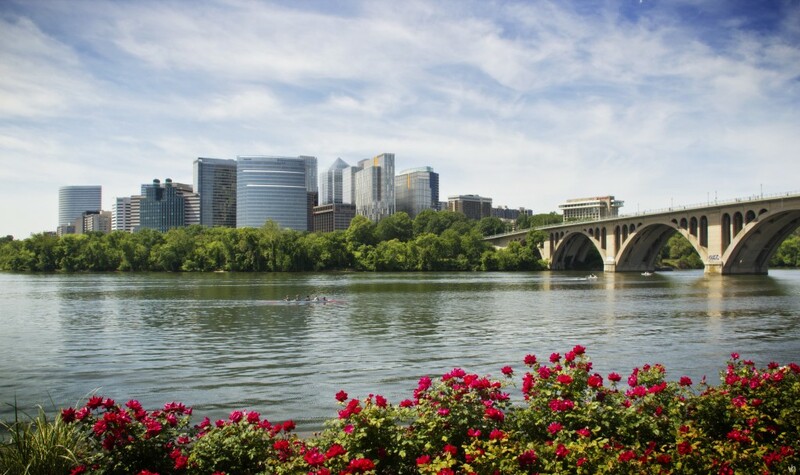 Rosslyn’s C-O zoning permits site plan projects to be developed in a manner that implements the recommendations of the Rosslyn Station Area Plan, and encourages the urban type of redevelopment envisioned by the community. The development projects approved since the creation of the “C-O-Rosslyn” zoning district include Waterview, 1801 North Lynn Street, Turnberry Tower, 1812 North Moore and Central Place. The County Board voted 4 to 1 to approve the project. To learn more, visit the County website to read the staff report and related materials, or watch the video of the meeting. Scroll down to Item 47 A on the Agenda for the July 21, 2012 Regular Meeting. The neutral facilitators bring a wealth of experience and expertise that will help expand the County’s public engagement landscape. The proposal includes strategic spending realignments and a tax-rate increase to support enhanced investments in Schools, Metro, infrastructure maintenance, housing affordability and the County workforce. An emergency stream repair means detours on a couple of Arlington trails. Leveraging its ConnectArlington fiber-optic network, the County is supplying broadband access to low- and moderate-income families living at Arlington Mill Residences. From the Stanley Cup to turkeys in Rosslyn to Amazon, these are Arlington County's most popular stories in 2018.